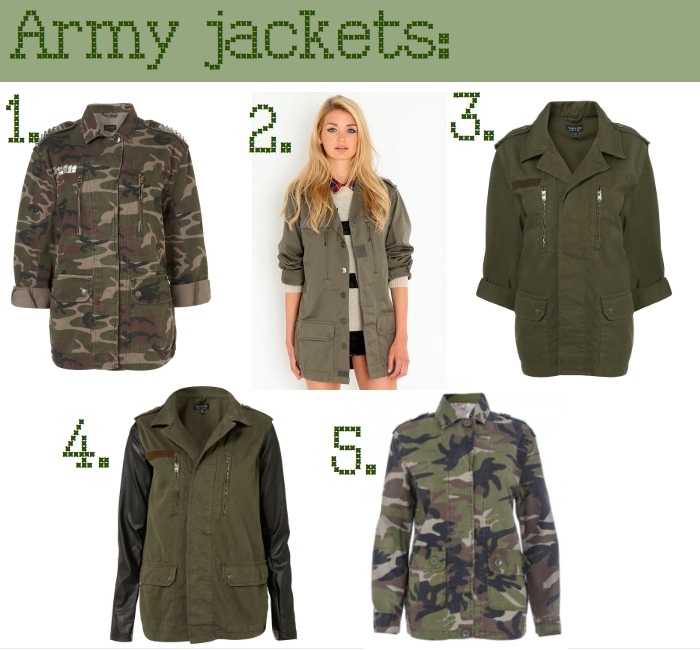 I'm loving army jackets too! The third one's lovely!! I'm tempted by 2nd one from missguided!! I really like the Missguided one! It's almost impossible to choose but I thnk I like the contrast sleeve one- but the studded topshop one comes a massively close second. I love army jackets. They are so cool, and they keep you warm in the winter! love the topshop version with the leather sleeves. Same as you, I really like the first one. I have the exact same on from Topshop, but without the studs and I love it.